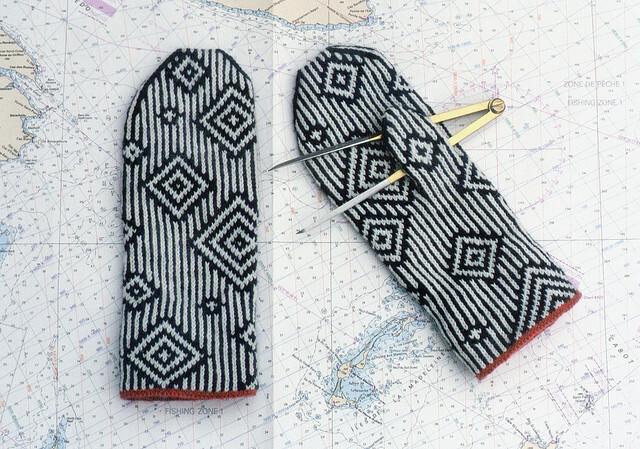 Colourwork. 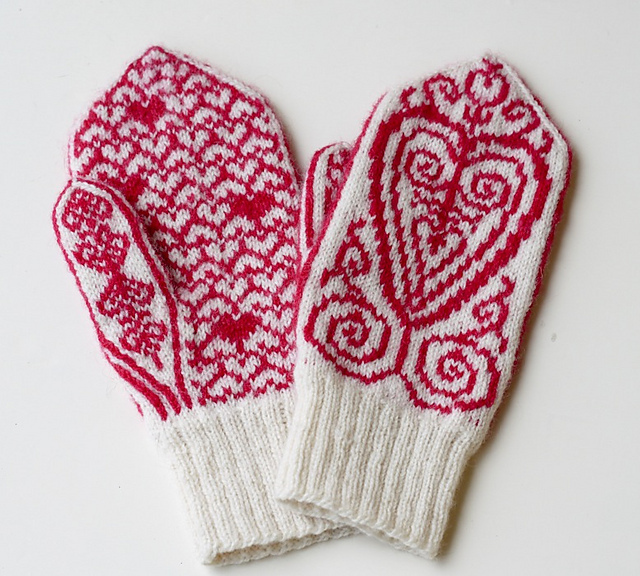 Every single one of these patterns utilizes colourwork. No Plain Jane mittens for me! Whimsy. It is clear that I have a finely tuned sense of the ridiculous. Black and white geometrics. Three out of twelve fall into this category; clearly, this is an appealing theme for me. 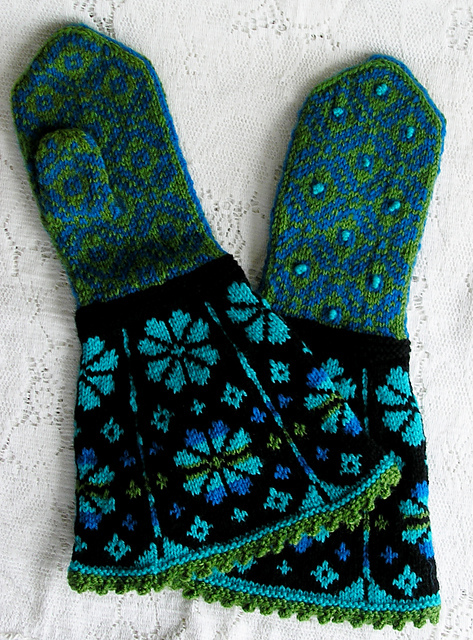 This entry was posted in Main, Pattern Radar and tagged Crafts, hand knit mittens, Knitting, mitten patterns, mittens by knitigatingcircumstances. Bookmark the permalink. 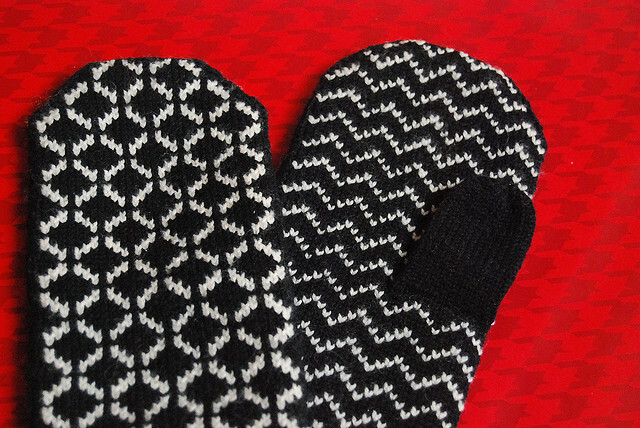 The black and white patterns would also look great in red and white! Good luck with yours! what a coincidence. 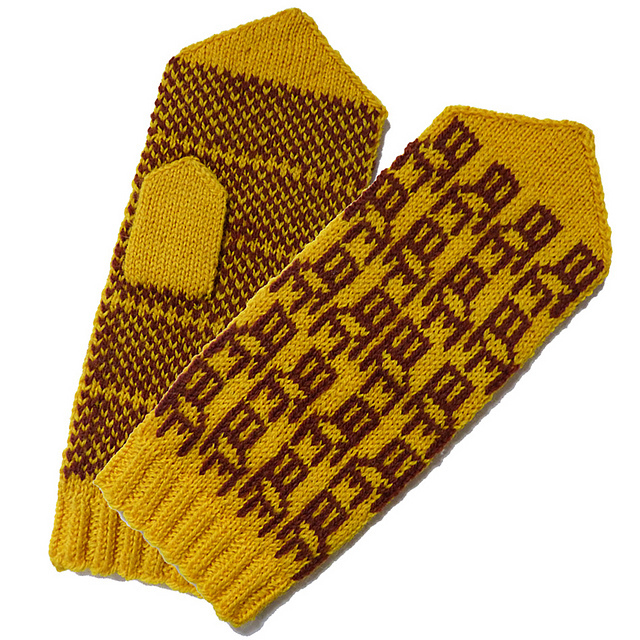 I just decided that 2015 will be a mitten year for me. Thanks for the inspiration, and happy Xmas! Hi Dominique! 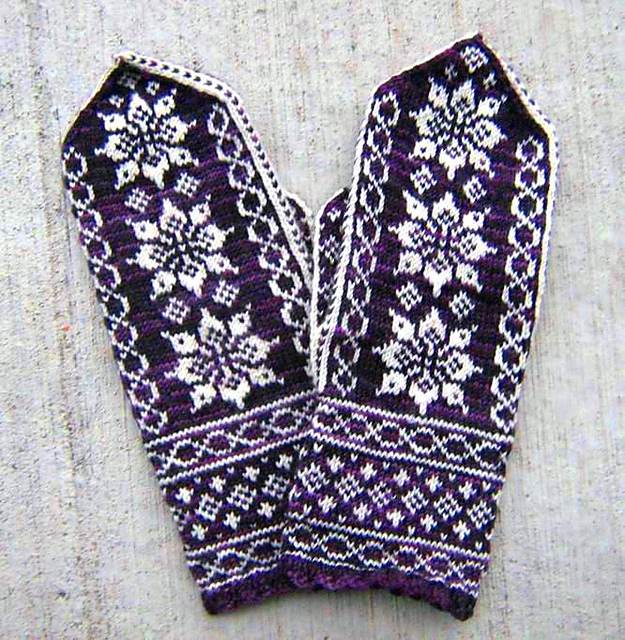 I look forward to seeing the lovely mittens you knit this year. Merry Christmas! I really love the newton mittens. I’ m not on ravely yet , but they are just the thing for the best dressed physics teacher. I agree with you – these are perfect for a physics teacher (and for the rest of us too)! 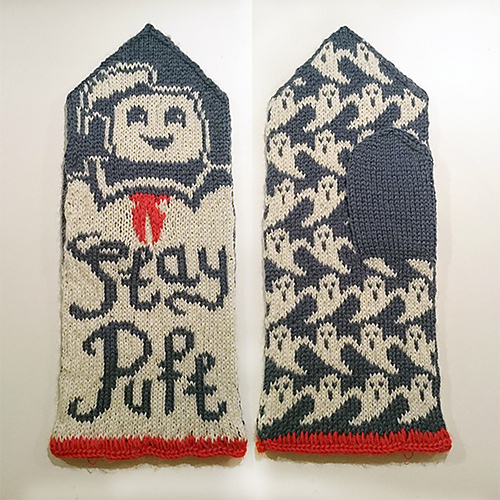 The designer has a few other science-related knitting patterns, including a Marie Curie-inspired one. Whoa…. 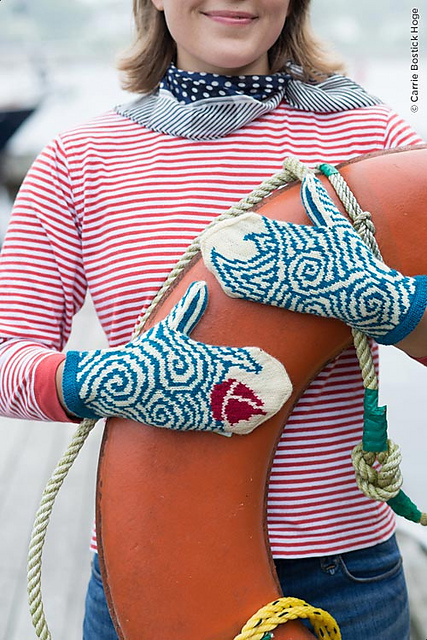 all these mittens have given me new life. I’m late on seeing these. Absolutely lovely. I saw your post about the Kate Davies Yokes book. What a fabulous book. Which ones are you thinking of making. 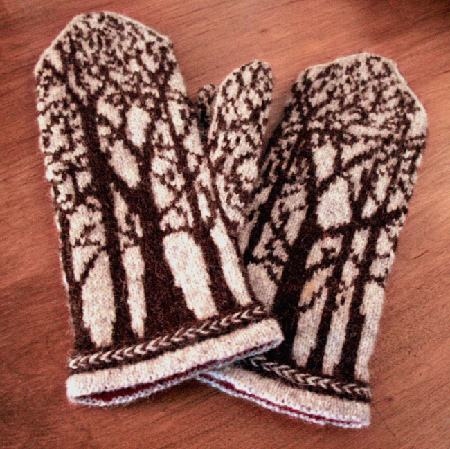 I like Deep in the Woods and Paradoxically Mittens. 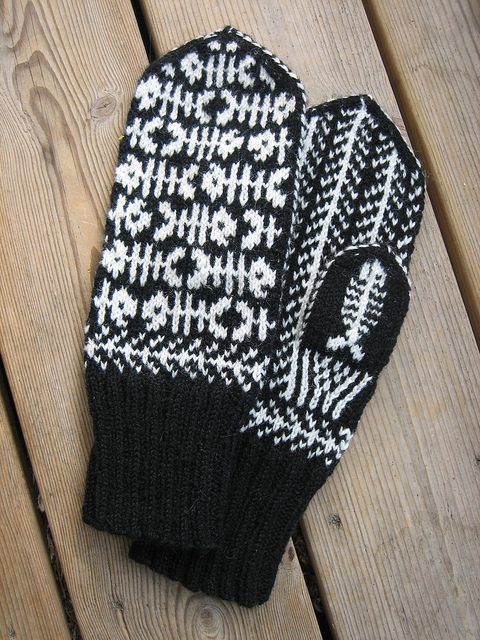 I love them all, but I think that the Paradoxical and Blomst mittens would be at the top of my to-knit list. 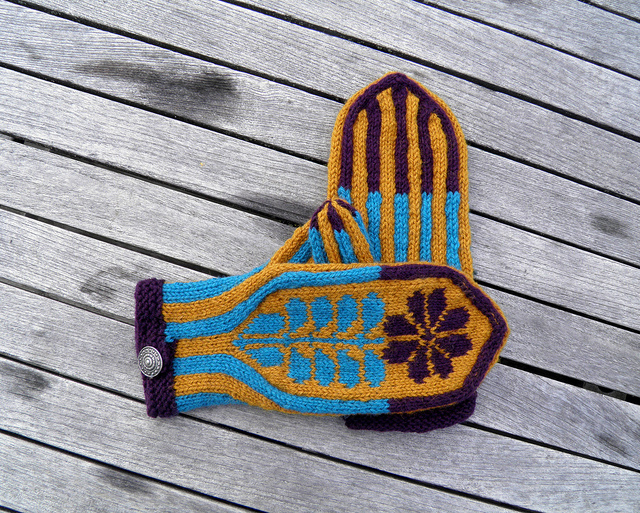 You should check out some of the Deep in the Woods mittens on Ravelry; some of them are made with the backgrounds in a very deep, dark blue like a nighttime sky. If I were to make them, I would definitely go for the blue background. 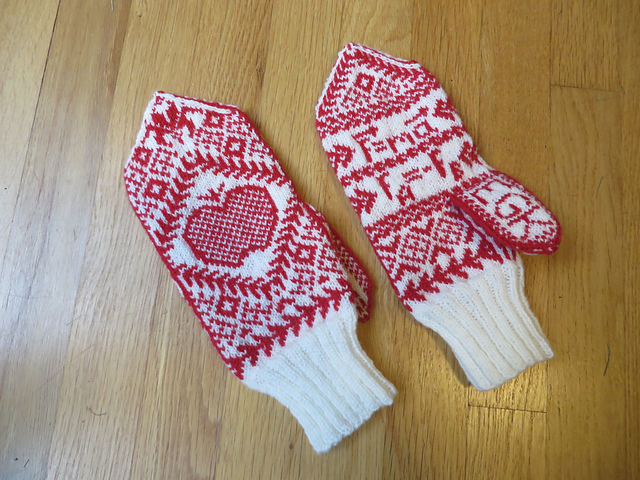 I think I’ll be knitting mittens for Christmas presents for next year!